Isaiah's been taking swimming lessons for the past couple of weeks. It's amazing how far he has come with water activities since last summer. 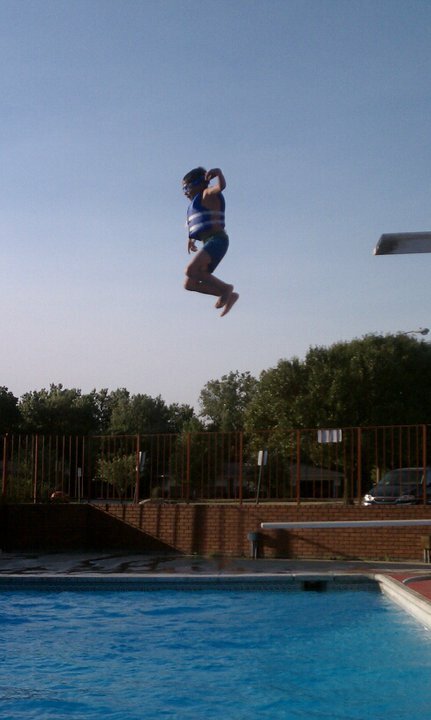 He has even jumped off the high dive board this week! Wonderful! This time last year, he wouldn't even put his face in the water, let alone go under the water. He passed the course so will get to go onto the next level next year. He's pretty excited.